I don’t think anyone here will be surprised to learn that I really kind of love goat cheese. It’s not exactly news. In the past, my love was purely based on flavor because, hey, goat cheese is delicious. But as I’ve become friends with more and more people who have difficulty with dairy, I’ve learned that many of them can tolerate goat cheese much better than cow’s milk because goat cheese contains less lactose. What do you think of that? Goat cheese is generally lower in calories, sodium, saturated fat and cholesterol than cow’s milk. The con to this is that it’s also lower in protein, although it is still a source of protein. Goat cheese offers higher amounts of vitamins D, K, thiamine and niacine than a serving of cow’s cheese. It also has 27 percent more antioxidants. Goats are a more environmentally-friendly source than cows, says Prevention — they’re smaller, requiring less space and food, are able to survive in places where other dairy animals can’t, and they eat just about anything. Plus, they produce a lot of milk for their size, and in general, goat farms tend to treat their animals more humanely than other dairy farms (although you should always do your research here, because it’s totally on a case by case basis). Also, goats are kind of the best. They just are. Plus, goat cheese is almost endlessly variable. 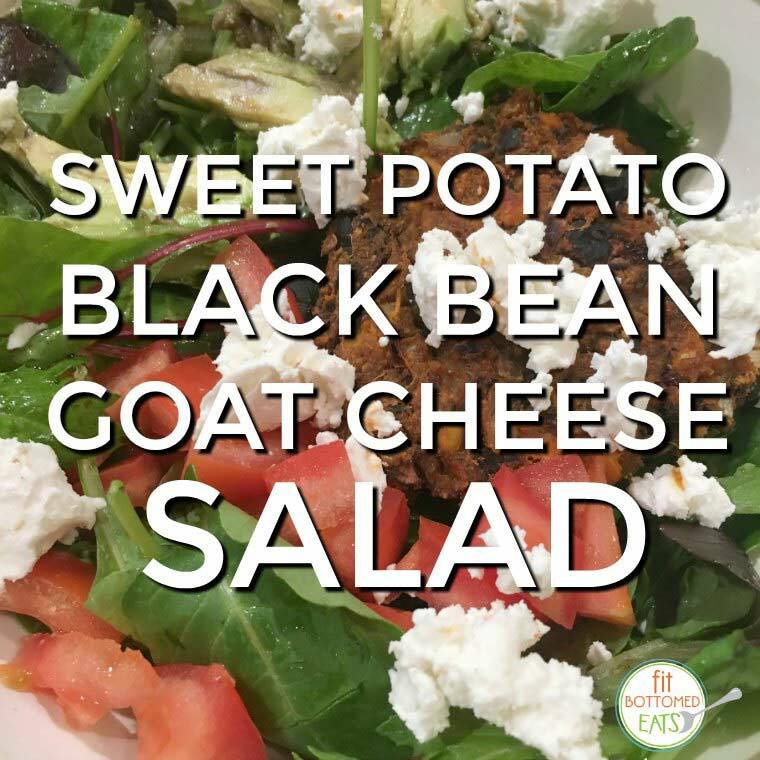 Aside from being able to use plain goat cheese (either in crumbled or log form) in about a million different recipes (one of which I’ll share below because it is my absolute FAVORITE right now! ), you can also find loads of flavors that are just waiting to be spread on your preferred method of gastronomic delivery, be it crackers, apples, a spoon … Yeah. Goat cheese just might be the GOAT. The folks over at Montchevre sent me a sampling of some of their different flavors, and let me tell you, I have become a really popular dinner guest because I offer to bring a selection over with me, and my friends are always excited to try what’s new. Their Garlic & Herb log was a big favorite, as was Tomato & Basil, although I was also pretty thrilled with the Blueberry Vanilla as a sweet option. Okay, fine — I liked all of them (Honey, Cranberry Cinnamon, Four Pepper, Fig & Olive, Peppadew, and Lemon) and it was sometimes a struggle to share. If you find portion control a bit challenging (which is totally me), the Medallions are pretty much the coolest. They’re individual 1 ounce single servings of plain goat cheese, and I found that to be the perfect size add into an egg scramble or for topping a couple of pieces of avocado toast. And, as you’ll see below, a Medallion is the perfect size to sprinkle over a killer salad! You can eat your patty on a bun, but tossing it over greens amps up the nutrition. Mix mashed sweet potatoes and mashed black beans. Mix in bread crumbs, onion, cumin, garlic, cayenne and salt. Mixture should be moist enough to be mold into patty shapes without crumbling apart. If it feels too moist or squishy, add more bread crumbs. Form into patties. The size is up to you, but I aim for between ¼ cup and ½ cup each -- this gives me lots of leftovers. I had 8 or 9 patties last time! Bake patties for 30-40 minutes on a foil-lined baking sheet. You might want to use a little olive oil or cooking spray if you're worried about the patties sticking. Flip patties halfway through. Once patties are done (slightly browned on the top so that you get a bit of crunch), toss one on top of each salad. Make sure the goat cheese is in contact with the patty so the cheese melts a bit. Then serve and enjoy! I know you said goat cheese, and it comes in a variety of flavors, but what about other cheeses made from goat/sheep milk? Like cheddar, manchego and gouda. Are they included or are they still dairy?